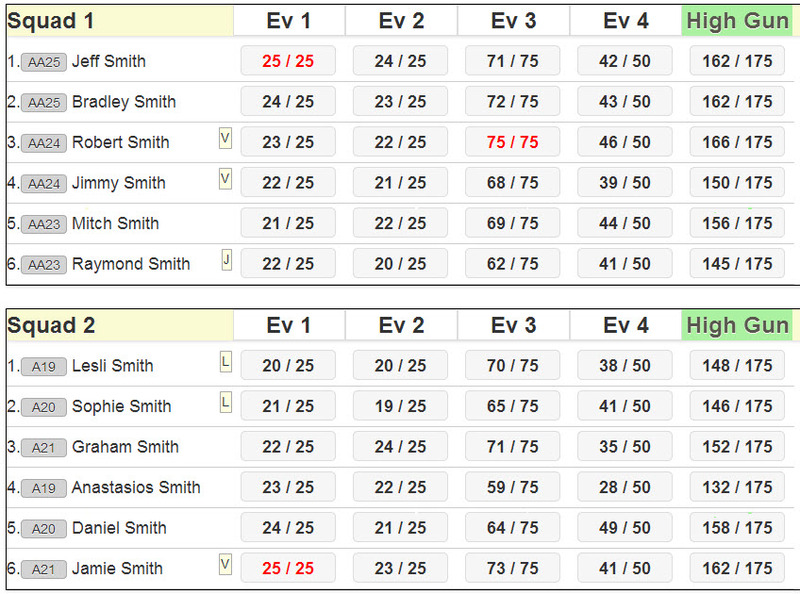 The below shows what leader boards and results pages are available for display on club televisions and shooter devices. To view a larger version of the images simply click on them. The pages update automatically when scores are entered by the administrator. the page will then display only that squad and will not "roll"
the page will then only display that event and will not "roll"
From the Squad Leader Board the "export" button in the top right corner will generate an export of all shooters and their results in a csv file. This file can be opened in excel.